Founded in 1890 in the Yanbe region, located in the northeast part of Yamagata City, Yamagata prefecture. The first proprietor was Shogoro Takeda, and the next two proprietors to take over the company were named Shogoro as well. The company suspended operations temporarily during World War II as part of the Japanese government’s act for industrial adjustment in wartime, but resumed brewing in 1967. This was also when the company changed its name to Shuho Sake Brewery. 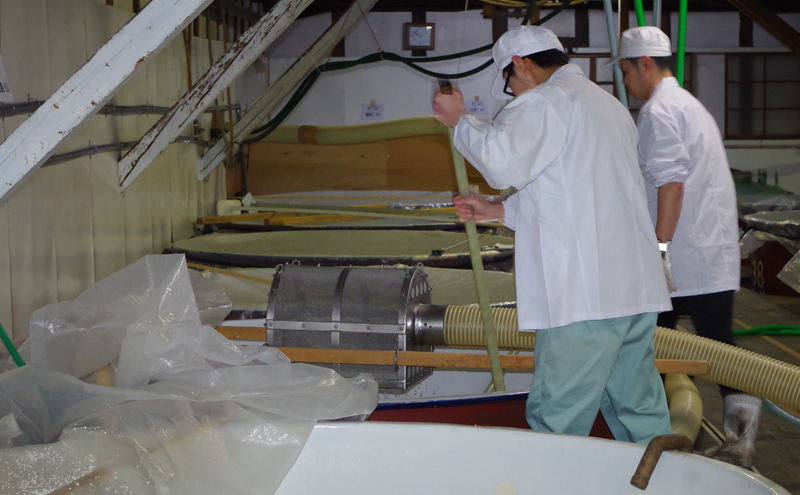 Today we ship sake throughout Japan and the entire world, even as we continue to brew it right here in Yanbe. Japanese sake brewing has drawn accolades across the world for its intoxicating mixture of aroma and flavor extracted from rice, water, and yeast, and continues to produce new fans everywhere. Our goal is to not only produce more fans of our sake in our local area of Yamagata and all throughout Japan, but to also spread our name and produce more fans around the world as well. We will work hard to help more people around the world learn about Japanese sake, starting with sake made from high-quality Yamagata prefecture sake-brewing rice, and to convey its appeal and individuality. Rice: We polish in house over 10 kinds of sake-brewing rice, starting with kinds sourced from Yamagata prefecture, until it is in the best possible condition for sake brewing. Water: We use plentiful snow water from the Zao mountain range. Yeast: We match different varieties of yeast to each type of alcohol, starting with rich and flavorful Yamagata yeast that was developed here in Yamagata prefecture. Climate: Japan’s Tohoku (northeast) region has a chilly climate in winter, making it well-suite for sake brewing. 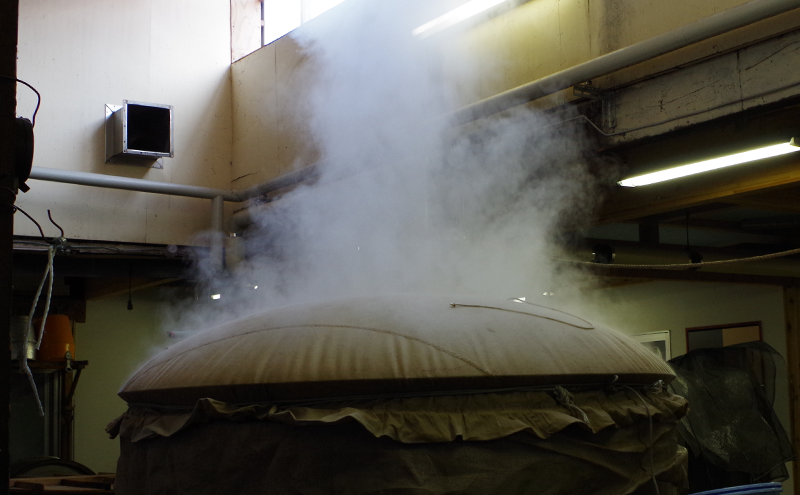 By fermenting slowly at low temperatures we are better able to keep the aroma potent, which produces a deep and flavorful sake. People: While Japan is home to many breweries, Yamagata prefecture in particular has been working on improving brewing technology by training people, such as by collaborating on training programs with many different sake creators. Yamagata prefecture haven’t had the Toji union or other similar sake brewer unions, but today, brewer or employee serves as a chief brewer in each sake manufacture, which leads to Yamagata’s unique sake brewing. We polish rice using special in-house machines in order to polish it to just the right level. By polishing over 10 different kinds of rice, we are able to be more free with our product lineup, and we are uniquely able to create Shuho’s special flavor. We employ special rice milling machines in order to separate the rice bran from the polished rice with only a few people. Polished rice is painstakingly steamed a small amount at a time every day, which is how we are able to keep our quality so high. We match different varieties of yeast to each type of alcohol, starting with rich and flavorful Yamagata yeast that was developed here in Yamagata prefecture. We employ thermal tanks that let us manage the yeast’s activity with a great degree of persuasion. We employ cutting-edge automatic compressors to reduce aroma drift and improve efficiency. With 12 prefabricated refrigerators and thermal tanks for our storage facilities, we can preserve our brews with minimal deterioration and offer high quality products throughout the year.